Students will love adding the totals of coins while playing this fun game. In this online activity students will click on a train ticket to get a deposit or withdrawal scenario. Help Robbie get home! He has no money, only oranges to barter with. Explore the island, talk to the chiefs, and search for a sail. Learning how to manage personal finances doesn’t have to be hard. Kids will love navigating through these fun money games. Add the coins then shoot the fruit with the correct total. Read the story about Vicki and then complete a quiz. You can also play a maze game, print a coloring page, and make a door sign. This is the U.S. Mint’s website for kids. It features games, art activities, and puzzles, as well as a history of the mint. You have 30 days to run a lemonade stand. How much money can you make? This website provides financial lessons and games for kids starring two mice as the main characters; for grades K-12, and divided by grades. Will learns the difference between wants and needs. Create your own personalized money! So what’s the real cost of credit? Let’s go shopping and find out! Ever wonder what it would be like to be out of school and on your own? Play the Check It Out game and find out! Don’t plan on taking the entire paycheck home. Learn how budgeting is an art! Explore people, note types, images and events from U.S. history and currency. We can learn much about the culture, values, and history of other countries around the world through their money. Your identity's been stolen! Luckily, this time you just need to correctly answer some questions on protecting your identity to get it back. The objectives are to accumulate as many consumer goods and services as possible, to minimize your credit card balance, and to maintain a good credit rating by making timely payments. This interactive baseball game tests your knowledge of economics and pro sports trivia. (It is fine if you are not a sports fan. This game is about using economics to gain a better understanding of everyday life). You decide what to wear, how to ride and more! More importantly, find out if you have enough loot to cover your choices! Click points on the timeline to explore an event. Before the Fed, there were other central banks, but throughout American history, famous people have disagreed and debated about what kind of bank it should be. What would you do? Think you know about money? Let's find out. Learn economic concepts with this amazing interactive game based on how the U.S. entertainment market developed. Quickly review your financial vocabulary by participating in a game show! Do you ever wonder what economists mean when they talk about things like the money multiplier, natural unemployment, and moral hazard? Ask Dr. Econ. Check out these local and national resources designed to help you pick the right career or college. Whether you're investigating careers, exploring education & training, or looking for a job, this website has tools to help you. This credit calculator can help you manage your money by showing you how long it could take to repay a credit card balance. 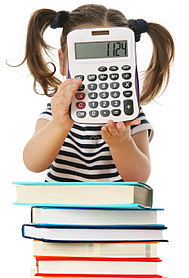 Financial activities, games, challenges, quizzes and tests for students and teens. A lifestyle and money magazine for students.